Fingerling potatoes are pretty hard to find in the summer, since multiple grocery stores were completely out of stock. We decided to modify the recipe and bake some little red potatoes, along with buying a pre-made aïoli dip to save some time. These traditional Padrón peppers bring me back to Barcelona. I love how they have a very mild taste, which isn't spicy or sweet - but one in every bunch might be spicy, depending on how much water and sunlight it gets while growing. I found mine at Loblaws, and they're imported from Spain. How authentic! 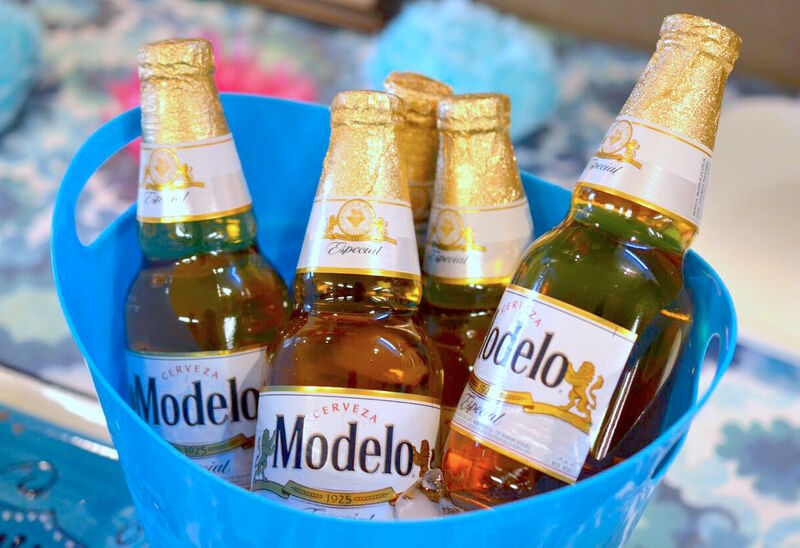 Our final addition to the table was some Modelo Cerveza. I especially love the short bottles of these beers, they're so cute. 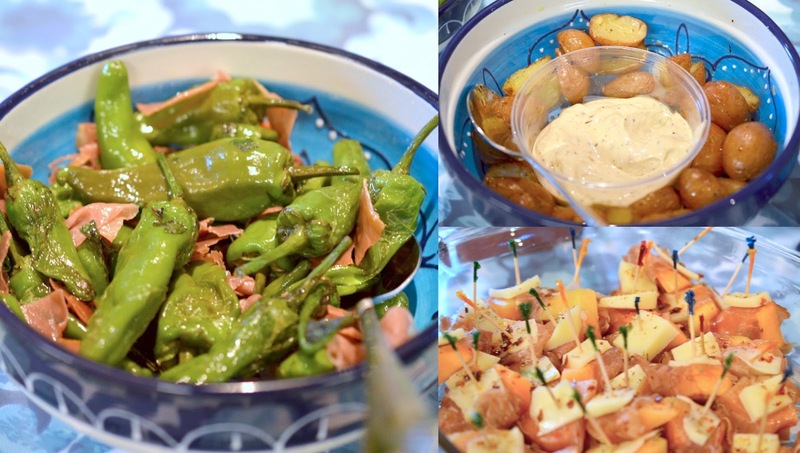 I hope this gave you some inspiration for your next party - a Spanish tapas theme is so fun!